How do I format my in-text citations? How do I format my End References? Uses a superscripted number as the in-text citation. Bibliographic information is at the end of the paper in a list called References or Literature Cited. Preferred by many writers in scientific disciplines related to experimental and observational science, including physical sciences, mathematics and life sciences. Information in this guide is based on the 8th edition of Scientific Style and Format: The CSE Manual for Authors, Editors, and Publishers (CSE stands for Council of Science Editors). In-text citations are a superscripted number that represents the entry in the end references. 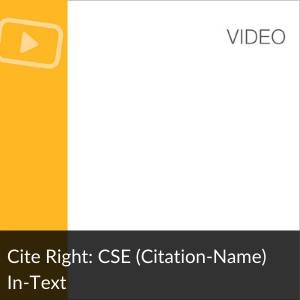 Place the citation as close as possible following the relevant title, word, or phrase. Smith's study1 tested this hypothesis, whereas James's study 2 did not. In 2009, Smith1 tested this hypothesis. Place the superscript number after commas or periods (as above), but before colons and semicolons. This hypothesis was tested1; James's study2 had different findings. 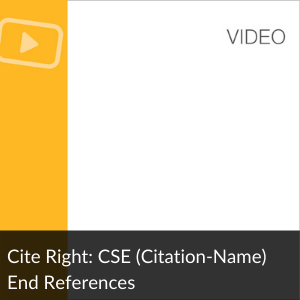 Do not place multiple citations at the end of the citation or place the citation at the end of a sentence if the reader would be confused about which information came from which reference. If the title of the work appears in your text, use quotation marks for the title of an article or chapter, and use italics for the title of a book or periodical. The reference list comes at the end of your paper and provides the full bibliographic information for your materials. The title should be References or Literature Cited. Works you have cited within your paper should be listed in the reference list in alphabetical order and assigned numbers in that order. If you used other material but didn't specifically cite it, include it in a section called "Additional References." Authors' first names are rendered as capitals after their surnames (e.g., Smith RA). 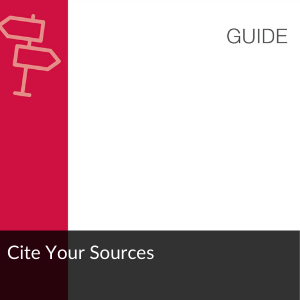 Obtain the original paper and cite it instead of the secondary source. 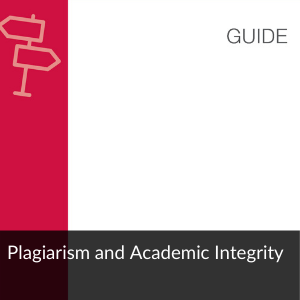 If you can't obtain the original paper, cite in the reference list only the secondary source that you actually read. Square brackets are used to show information that has been added by the person doing the citing. e.g., [date unknown], [DVD], [cited 2011 Jan 23]. References to nonprint materials may use both a "content designator" to indicate the nature of a work. e.g., editorial, letter, dissertation, database, computer program, homepage, etc. e.g., videocassette, microfiche, internet, CD-ROM, DVD, etc. You can combine them as [database on the internet] and [homepage on the internet]. Author AA, Author BB. Article title. Journal Title. Year;Volume number(issue number):inclusive pages. Burns LH, Thorpe G. Fears and phobias. Journal of Internal Medical Research. 1979;17(2):235-246. Ganz PA. Menopause and breast cancer. 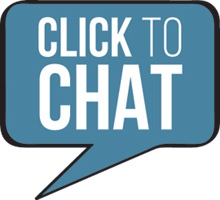 Innovations in Breast Cancer Care [Internet]. 1997 Apr [cited 1997 Nov 4];2(3):[about 10 p.]. Available from http://www.meniscus.com/bcc/Art2_23.html/. NOTE: When the reference ends with a URL, do not follow with a period unless the URL ends with a forward slash. Author AA, Author BB, Author CC. Title of work. Edition. Place of publication (State or Prov): Publisher name; Year. Number of pages p.
Agrios GN. Plant pathology. 2nd ed. New York (NY): Academic Press; 1978. 703 p.
Davidson RH, Lyon WF. Insect pests of farm, garden, and orchard. 7th ed. New York (NY): John Wiley & Sons; 1979. 596 p.
Author(s) of the part. Title of the part. In: Author(s) or Editor(s). Title of book. Edition. Place of publication: Publisher name; Year. p. pages of part. Kuret JA, Murad F. Adenohypophyseal hormones and related substances. In: Gilman AG, Rall TW, Nies AS, Taylor P, editors. The pharmacological basis of therapeutics. 8th ed. New York (NY): Pergamon; 1990. p. 1334-1360. 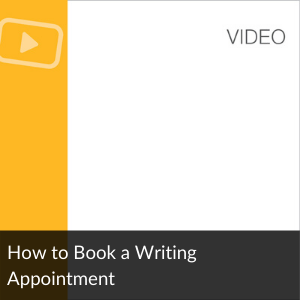 If the author of the part also is the author or editor of the book, place the book information before the part information. Author(s) or Editor(s). Title of book. Place of publication: Publisher name; Year. Kind of part and its numeration, title; p. pages of part. Hebel R, Stromberg MW. Anatomy of the laboratory rat. Baltimore (MD): Williams & Wilkins; 1976. Part C, Digestive system; p. 43-54.